View More In Dishwasher Parts & Accessories. Genuine Original Equipment Manufacturer (OEM) parts! 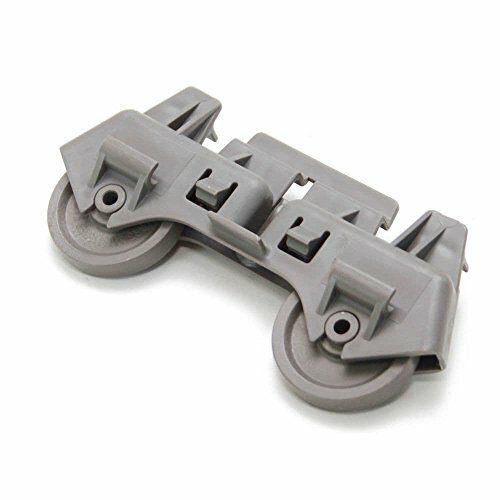 This dishrack roller (part number WPW10082868) is for dishwashers. Dishrack roller WPW10082868 attaches to the dishrack and allows you to roll the dishrack in and out. Wear work gloves to protect your hands when installing this part. For Kenmore, Maytag, Kitchenaid, Kenmore Elite, Whirlpool, Fulgor, Ikea, & Kenmore Pro. If you have any questions about this product by Kenmore, contact us by completing and submitting the form below. If you are looking for a specif part number, please include it with your message.